Voice-over-IP adapters (a.k.a. Analog Telephone Adapters, ATA) help in the ongoing process of communication network convergence, by allowing interoperability between legacy terminals and modern terminals over packet and TDM networks. In this sense, the Voice-over-IP adapter/ATA devices are H/W- and S/W- based “network protocol converters” acting at the network boundaries/access points and making it possible to re-use legacy terminals through interoperability support between “traditional” digital telephony networks, such as POTS/PSTN (whose analog terminals are connected to the digital telephony networks via SLIC-type interfaces) and packet networks (such as IP networks). Figure 1: Example of network topologies enabling coexistence of PSTN and IP networks. VoIP adapters connect analog terminals to IP Networks. 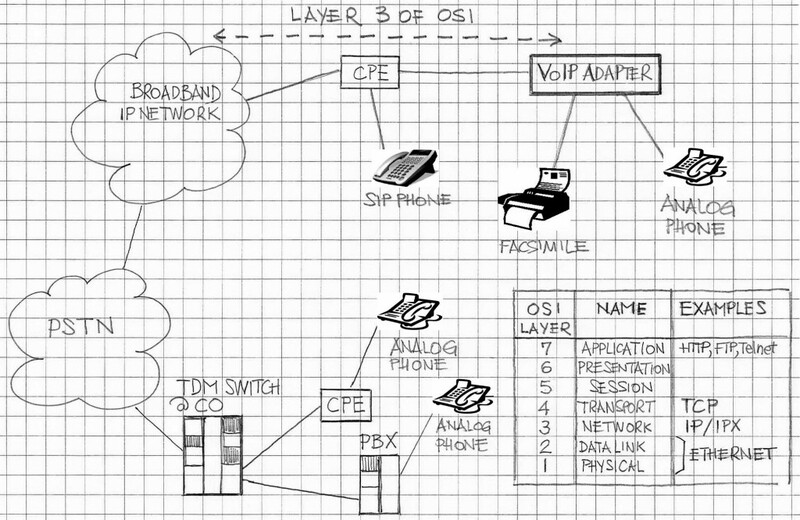 Figure 1 illustrates one example of the network topologies allowing for coexistence of PSTN and IP networks, as pictured from the voice communication viewpoint. PSTN and IP networks support voice channels ended with traditional or analog telephone sets. Analog telephone sets require a Voice-over-IP adapter/ATA to connect to an IP Network. Voice-over-IP adapters (ATA) became popular when packet telephony migrated from Voice-over-Frame-Relay (VoFR) and Voice-over-Asynchronous Transfer Mode (VoATM) to become dominant in the space “voice of packets” as Voice-over-Internet Protocol (VoIP) (cf. Refs. ,). A large pool of “traditional” devices (telephone sets, facsimile machines etc) and their suppliers, i.e., took advantage of Voice-over-IP adapter/ATA functionality: any “analog” terminal such as a telephone set or fax machine designed for the “traditional” telecommunication system based on the TDM technology practically cannot distinguish between the underlying connectivity provided by the IP network from the PSTN, thanks to the ATA functionality (cf. Ref. ). Voice-over-IP adapter/ATA functionality includes support for data network protocols, real-time protocols critical from the viewpoint of voice packet delivery, fax protocols, voice codecs (including wide-band codecs and low-bit rate codecs) as well as security and encryption protocols. Voice features such as echo cancellation (ECAN), packet loss concealment (PLC), typically a part of the low-bit rate codec functionality, but also a part of full-bit range codecs (such as G.711) are included in the full-featured Voice-over-IP adapter/ATA. To provide full support for Telephony Features typically provided by TDM Telephony Systems, Voice-over-IP adapter/ATA devices emulate TDM network features as seen and sensed by the end devices. The emulation is realized by H/W means (via Ethernet ports to connect to data networks and via foreign exchange station,F XS, telephone ports on the TDM network side; some ATA devices also provide FXO ports to connect to a Telco or PBX circuits) and by S/W means (by providing software support for network protocols such as H.323, SIP, MGCP, and other protocols as needed for the given feature set implemented in the ATA device to ensure interoperability and deployment flexibility). One or more RJ-45 connectors to 10BaseT Ethernet hub or switch. TDM Telephony System features supported by ATA solutions, as seen from the end-user perspective, include Custom Local Area Signaling Service (CLASS Features) such as automatic call forward, call waiting, caller ID and many other features. They also include call progress tones (such as dial tones, ring back tone, call waiting tone, busy and fast busy tones to mention a few) and ringing patterns (including programmable ringing patterns). On the other hand, for Voice-over-IP adapter/ATA devices to support the IP network side they require VoIP protocol-related functionalities and operations be fully supported. VoIP software protocol stack is realized by implementation of the applicable Internet Standards. The Internet Standards are packet network protocol standards as defined in Request-for-Comment (RFC) documents which are supported by activities of Internet Engineering Task Force (IETF) as well as the parallel organization, Internet Research Task Force (IRTF). IRTF is involved in research focused on the evolution of the Internet by creating long-term Research Groups working on topics related to Internet protocols, applications, architecture and technology. Request-for-Comment documents providing the network protocol details for software protocol stack supporting Voice-over-IP adapter/ATA functionality include RFC 3261 (SIP: Session Initiation Protocol) and subsequent documents (3262, 3263, 3264), RFC 3350 (Transport Protocol for Real-Time Applications), RFC 3551 (Profile for Audio and Video Conferences with Minimal Control) to mention only the critical ones. VOCAL’s ATA Reference Design implements Voice-over-IP adapter/ATA functionality that allows customers to develop standards-based, next-generation VoIP products with equipped with extensive features supporting all aspects of voice channel setup and voice communication over IP. Contact us to discuss your VoIP adapter/ATA application with our engineering staff.